BRANDON, Man. – Noted radio host and broadcast executive Eric Friesen will be honoured at Brandon University’s Spring Convocation this month. 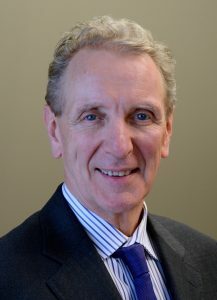 Eric Friesen will receive an honorary degree at Brandon University’s Spring Convocation on May 27. Mr. Friesen will receive an honorary Doctor of Laws (honoris causa) at the afternoon ceremony on Friday, May 27. Born and raised in Altona, Manitoba, Mr. Friesen started his career at local radio station CFAM before hosting a number of CBC Radio programs, including Studio Sparks, Onstage at Glen Gould Studio and In Performance, and serving as a network executive. He was the Program Director for the launch of classical and jazz station Classic 107 in Winnipeg and is currently a consultant for Radio New Zealand Concert. He has also been a host on Minnesota Public Radio. “Mr. Friesen’s support and promotion of the performing arts over the course of his distinguished career have enriched the lives of individuals in Canada and beyond,” says Dr. Gervan Fearon, President and Vice-Chancellor of Brandon University. Mr. Friesen is the Artistic Director of the Studio “S” festival at the Thousand Islands Playhouse in Ontario, Chairman of the Honens International Music Festival in Calgary and a contributing speaker and interviewer for a host of major arts organizations in Canada and abroad. He has also written for a number of publications, and co-hosts a book club at a federal prison in Kingston, Ont. Previously announced as a recipient of an honorary degree at this year’s Spring Convocation was The Right Honourable Paul Martin. Canada’s 21st Prime Minister, Mr. Martin will be recognized at the morning ceremony.